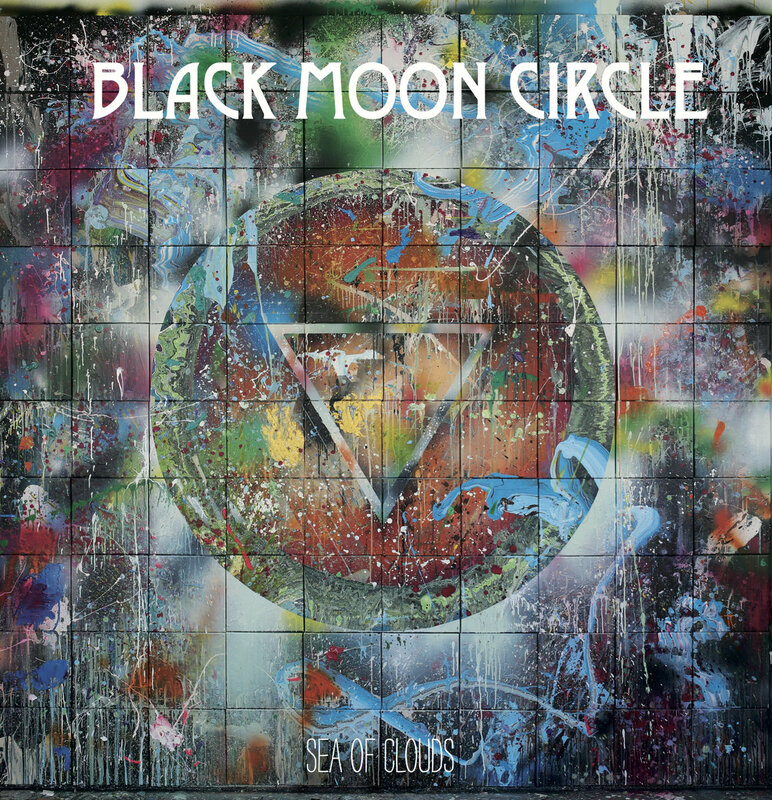 BLACK MOON CIRCLE-SEA OF CLOUDS. Last year, I described Norwegian space rock pioneers, Black Moon Circle as one of the rising stars of the Norwegian music scene. Since then, Black Moon Circle’s star has been in the ascendancy. Their third album, The Studio Jams Volume I: Yellow Nebula In The Sky was released to widespread critical. 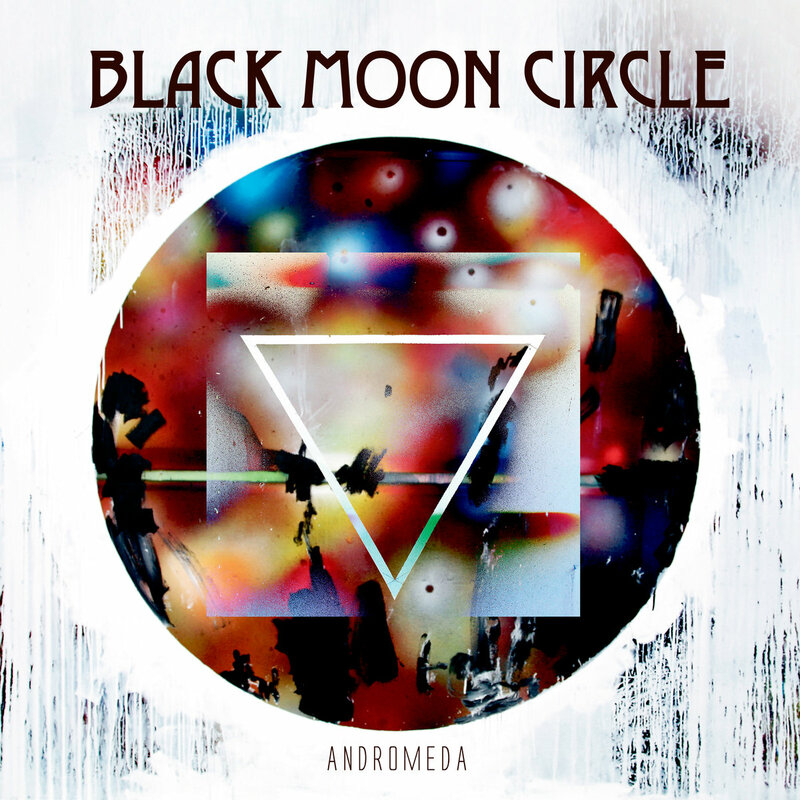 Soon, Black Moon Circle were being invited to play at major festivals across Europe. This included the prestigious Roadburn Festival, in the Netherlands. The Roadburn Festival took place in Tilburg, between the 14th-17th April 2016. Black Moon Circle made their festival debut on the 15th of April. This was perfect timing. That day, Black Moon Circle released their much anticipated fourth album Sea Of Clouds on heavyweight vinyl, via Crispin Glover Records. Sea Of Clouds finds Black Moon Circle continuing to reinvent themselves musically. They’ve been doing this since their career began in 2012. Black Moon Circle are just one of many Norwegian space rock bands. 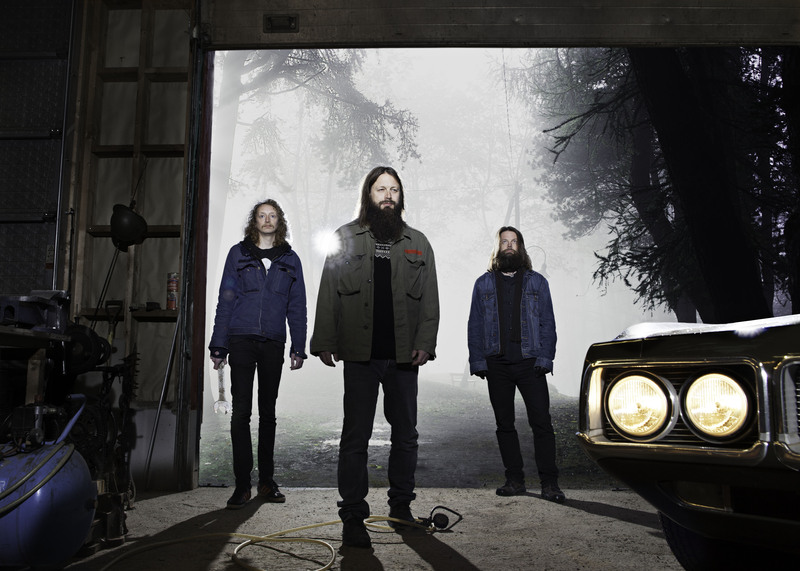 Earthless and Colour Haze are two other bands, who are flying the flag for space rock. In Black Moon Circle’s case, they’ve been doing this since 2013. 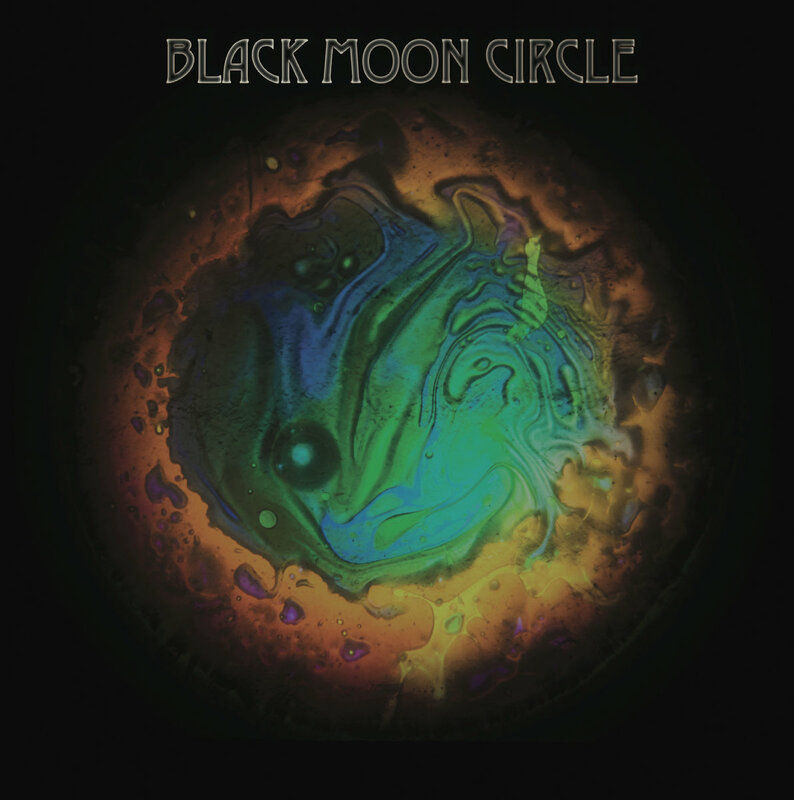 Instead, Black Moon Circle returned to the studio in April 2014. That’s when Black Moon Circle recorded Andromeda. They worked quickly and efficiently. As a result, the five songs on Andromeda were recorded in one day. Six months later, and Andromeda was ready to be released. The Studio Jams Volume I: Yellow Nebula in the Sky was the finest album of Black Moon Circle’s career. It features their unique brand of psychedelic space rock with elements of electronica, experimental music and free jazz added for good measure. Seamlessly, these disparate musical genres and influences merge into something new and innovative. It’s cinematic, dramatic, futuristic, moody, rocky and as Øyvin Engan says, “intense. With The Studio Jams Volume I: Yellow Nebula In The Sky recorded, but not yet released, Black Moon Circle’s thoughts turned to their fourth album. This wasn’t another instalment in the Studio Jams’ series. Instead, what became Sea Of Clouds found Black Moon Circle changing direction slightly. A month later, during July 2015, Black Moon Circle returned to the studio. This time, vocals and keyboards were added. Only then, was Sea Of Clouds complete. Before that, The Studio Jams Volume I: Yellow Nebula in the Sky was still to be released. Nearly nine months later, and buoyed by the critical acclaim thatThe Studio Jams Volume I: Yellow Nebula In The Sky received, Black Moon Circle are preparing to release ASea Of Clouds. Øyvin Engan describes the new album as: “prolonged jams with heavy riffage, the extensive use of effects on bass and guitar and analogue synths oscillating with echoes and delays.” This is sure to win over Black Moon Circle’s over growing fan-base, when Sea Of Clouds is released. You’ll realise why, when I tell you about Sea Of Clouds, the much anticipated album from space rock pioneer Black Moon Circle. Lunar Rocket opens Sea Of Clouds. That’s a fitting title as the track will eventually, explode into life. Before that, just moody, spacious, bluesy and rocky guitar riffs are played. Sometimes, they tremble and shimmer. Then after a minute, it’s all change. The arrangement literally explodes. Pounding, thunderous and relentless drums join the bass in powering the arrangement along. Buzzing, searing, rocky guitars accompany Øyvin’s powerhouse of a vocal. Soon, an array of effects are unleashed. They’ve always been Black Moon Circle’s secret weapons, and play an important part in their space rock sound. By then, Black Moon Circle are at their heaviest and most melodic. They seem to have drawn inspiration from April Wine, Black Sabbath, Deep Purple, Led Zeppelin, Hawkwind, Moster and Motorpsycho. Elements of space rock, psychedelia and heavy metal combine seamlessly. Guitars bristle, drums pound and a buzzing bass joins whirling, space-age, haunting synths. In the midst of this musical vortex is Øyvin’s vocal. He seems to embrace the roll of frontman, on this hard rocking, slice of melodic space rock, that shows a new side to Black Moon Circle. A droning wash of feedback is joined by bass and guitars on The Magnificent Dude. As a crystalline guitar plays, the rhythm section provide a slow, moody, hypnotic backdrop. When Øyvin’s vocal enters, he combines emotion and drama. All the time, the arrangement builds. Soon, a scorching, blistering guitar solo plays; while a vortex of synths blow across the arrangement. Effects are deployed, as everything from post rock, psychedelia and space rock are combined with Krautrock. When the vocal returns, Øyvin and the rest of Black Moon Circle the track heads into anthem territory. Still, though, Black Moon Circle aren’t afraid the kick loose. When the vocal drops out again, a guitar masterclass unfolds. Literally, the blistering, trembling guitar cut through the arrangement as the rhythm section create a mesmeric backdrop. Later, the track veers between moody, rocky and futuristic, thanks to the sci-fi sounds and myriad of effects. Combined, they play their part in an alternative space rock anthem. Moondog picks up where The Magnificent Dude left off. Just lone guitar is panned left. It’s soon joined by another guitar, bass and bubbling synths. Soon, sci-fi synths and keyboards are added; before Øyvin’s vocal enters. By then, a myriad of instruments and effects assail the listener. Still, though, the lone guitar is panned left. Meanwhile, the rest of Black Moon Circle are responsible for a futuristic, rocky soundscape. Playing leading roles are a blistering guitar, a vortex of whirling, ghostly synths and an array of sci-fi effects. They’re responsible for a myriad of beeps and squeaks. However, the vocal proves to be a game-changer. It adds the finishing touch to a track whose roots are in the seventies. There’s more than a nod to progressive rock, while elements of classic rock, psychedelia and space rock shine through. Later, memories of Yes and Emerson, Lake and Palmer come flooding back, before Øyvin’s vocal becomes briefly lysergic and the track become rocky, futuristic and again, anthemic. Warp Speed closes Sea Of Clouds. Bursts of bass accompany a dubby, shimmering guitar. Meanwhile, cymbals are caressed before sci-fi synths and a machine gun guitar are unleashed. This is the signal for Øyvin to deliver a lived-in vocal. Accompanying him, are blasts of bass, scorching, searing guitars and relentless drums. By then, a vortex of synths, crunch guitar, bounding bass and driving drums. They provide a backdrop for Øyvin’s strutting vocal as Black Moon Circle become a rocking machine on this thirteen minute, genre-melting epic. It features Black Moon Circle at their hard rocking best as they set sail on the Sea Of Clouds at Warp Speed. Just six months after the release of The Studio Jams Volume I: Yellow Nebula In The Sky, Black Moon Circle return with their fourth album Sea Of Clouds. It features the Trondheim-based space rockers at their groundbreaking best, as they continue to reinvent themselves. To do this, Øyvin Engan’s added vocals to the four lengthy tracks on Sea Of Clouds. This results in a very different album to The Studio Jams Volume I: Yellow Nebula In The Sky. The music on Sea Of Clouds is melodic and anthemic. It’s also hard rocking. This is what we’ve come to expect from Black Moon Circle. Their three previous albums have featured Black Moon Circle showcasing their hard rocking brand of psychedelic, space rock. On Sea Of Clouds, Black Moon Circle revisit this sound, but combine elements of heavy metal, Krautrock, avant-garde, free jazz and post rock. 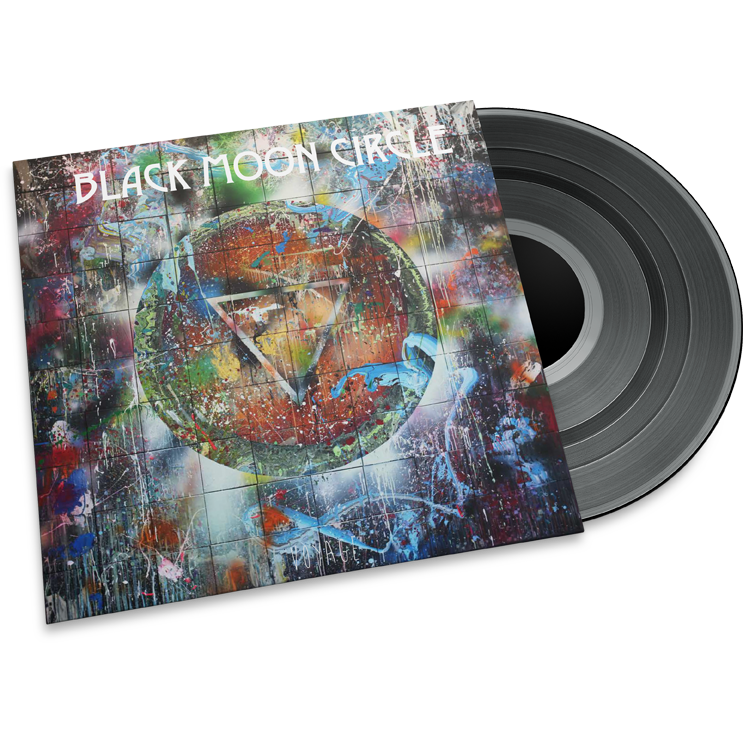 Black Moon Circle have also drawn inspiration from Black Sabbath, Can, Deep Purple, Emerson, Lake and Palmer, Hawkwind, Iron Maiden, Led Zeppelin, Hawkwind, Moster, Motorpsycho, Radiohead and Yes. These disparate musical genres and influences merge into something new and innovative on Sea Of Clouds. This is best described as dramatic, futuristic, moody, otherworldly and gloriously rocky. Sometimes, Sea Of Clouds features Black Moon Circle at their hard rocking best. However, Sea Of Clouds is also “intense.” There’s always been an intensity to Black Moon Circle’s music. It’s as much a part of Black Moon Circle’s music as the layers of fuzzy guitars, spacey, lysergic synths and futuristic sci-fi sounds. That’s the case throughout Sea Of Clouds, which shows another side to space rock pioneers Black Moon Circle, as they prepare to releae the most accessible album of their career. Sea Of Clouds which was released on heavyweight vinyl by Crispin Glover Records, features a truly distinctive album cover. The artwork for Sea Of Clouds was designed by Marius Martinussen. He assembled 100 12” canvasses into a larger unit. After that, he painted the main cover motif. 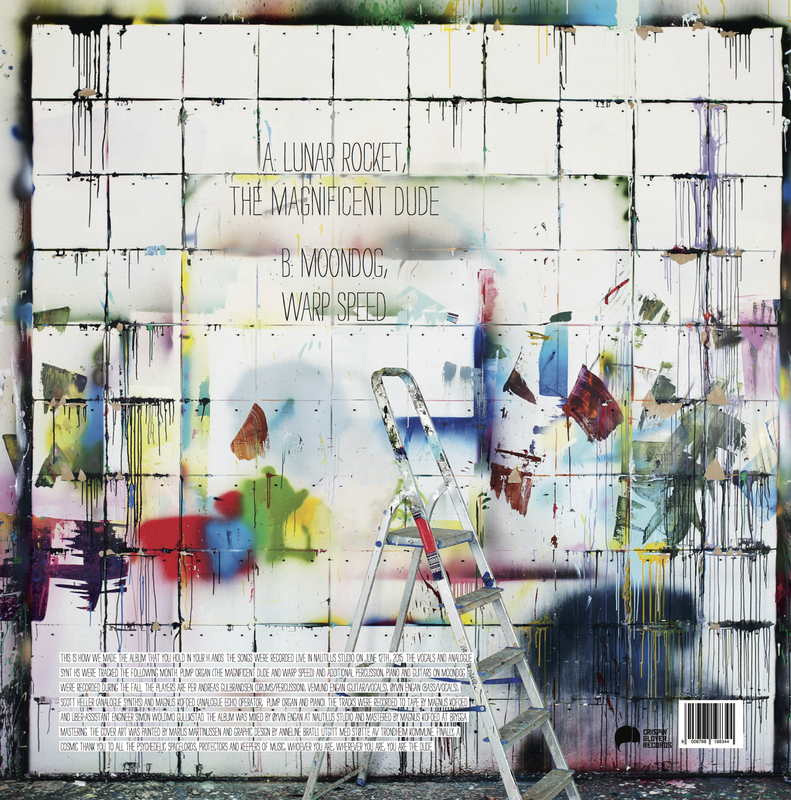 The first 100 hundred copies of the album will each include one original piece from the painting. So not only does Sea Of Clouds feature some of the best music of Black Moon Circle’s career, but could include a piece of original artwork. That’s if you order your copy of Sea Of Clouds early. If you do. it will be well worthwhile. Sea Of Clouds features Trondheim groove-meisters Black Moon Circle at their hard rocking best. They kick loose from the opening bars of Lunar Rock, and never let go until the closing notes of Warp Rock. In between you’re treated a glorious assault on the sensory system. This comes courtesy of those genre-melting innovators Black Moon Cirle, and their critically acclaimed, fourth album Sea Of Clouds.